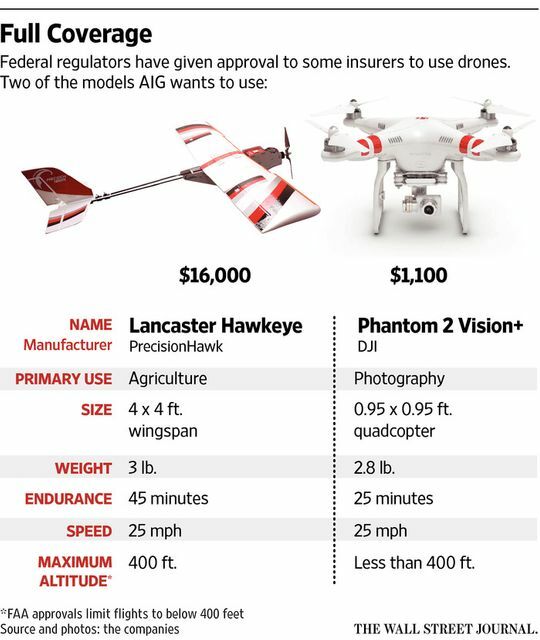 Finally a reason to talk about drones in fintech. The FAA has granted AIG, State Farm and USAA approval to use unmanned aircraft to do inspections. The insurers said drones will help them inspect areas that are difficult for people to access. Drones have the ability to help insurers swiftly respond to claims from hurricanes, tornadoes and floods by providing aerial images of areas claims adjusters can’t get to. They also see drones as a way to reduce injuries from risky roof inspections.